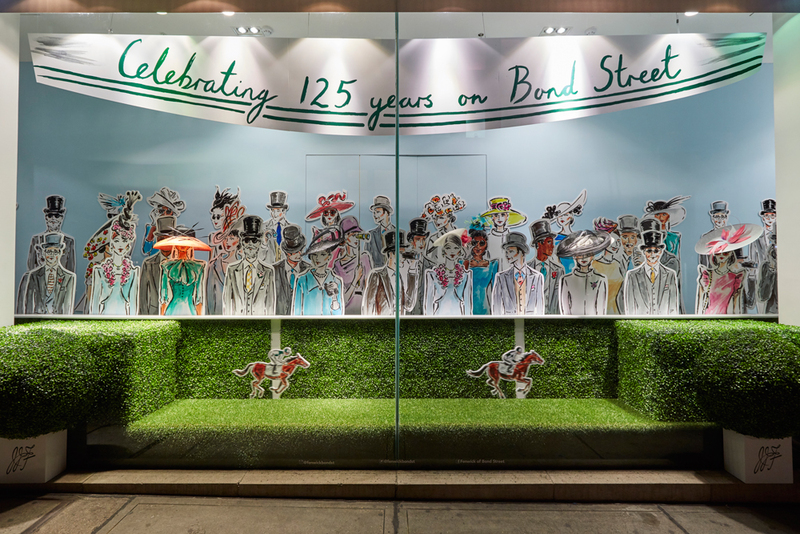 In homage to Fenwick’s 125 anniversary, Propability worked with the Fenwick team to develop a set of windows and instore fixtures with illustrations by Clym Evernden. 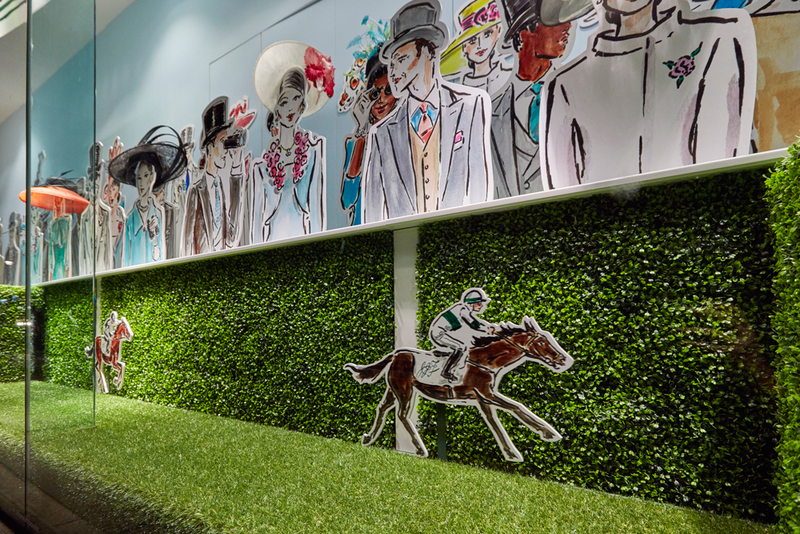 The Bond Street window of the store featured 62 horse racing spectator cut-outs printed on foamex one of which is an illustration of Leo Fenwick. Adding movement to the window for a spectacular and eye catching display are five horses that moved slowly across on a continuous loop mounted on to a chain and motor - appearing from behind a hedge and back round again. 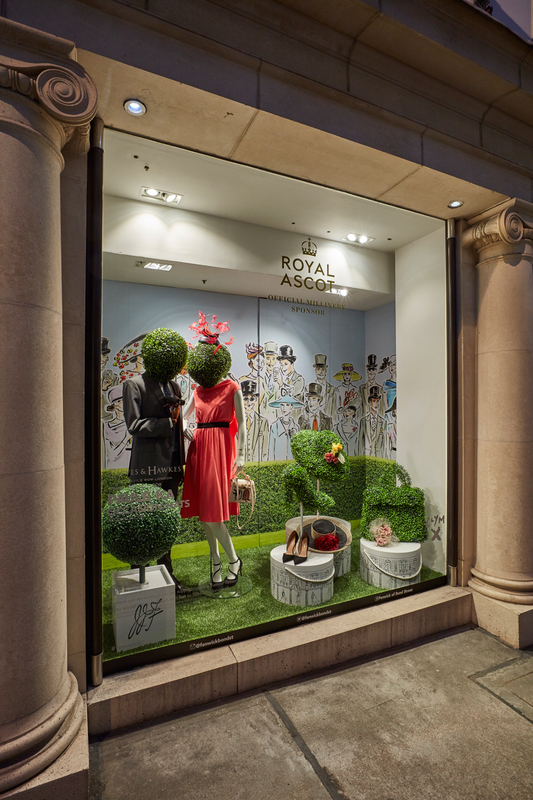 In the Brook Street windows topiary covered sculpts of two dogs, a handbag, a hat, a shoe and box plans were mounted on top of hat box inspired bases. In store oversized replicas of the Fenwick limited edition Ascot hat boxes were made and stacked up to display hats and mannequins with waiter/auctioneer men printed on doubled sided foamex holding a paddle provide directions to the hat department.